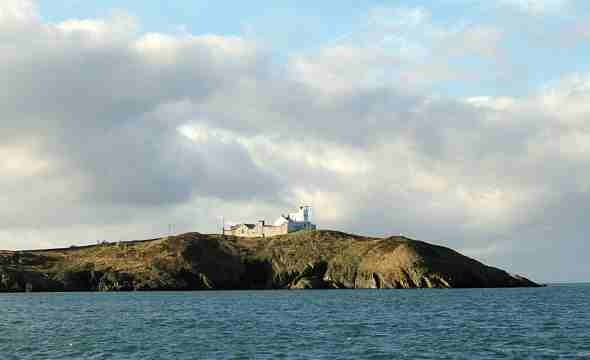 Point Lynas Lighthouse stands on a prominent headland on the north east coast of Anglesey. And the sea views alone make this landmark a "must visit". 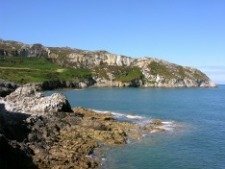 You will find the marked Anglesey coastal path along this stretch of coast, so you can really take in the breathtaking scenery. As you approach along the A5025 coastal road, look out for signs to Llaneilian. When you reach the village you will find a very convenient car park. Then pick up and follow the path markers - yellow arrows on a green circle background. If you want a closer look at Point Lynas Lighthouse, you will need to leave this marked path. Don't worry though, you can rejoin it later! On your visit today you will see a white building built in 1835 by Trustees of Liverpool Docks. 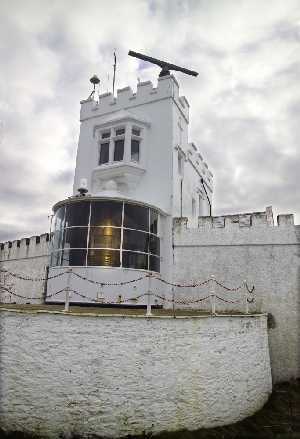 A north facing tower houses the all important lamp room. The rest of the building is made up of the telegraph and signal stations. Interestingly, the original pilot station at Point Lynas was built in 1781. There was a white Pilot House and a flagpole used for relaying day signals. While two reflecting lamps marked the point after dark, one facing north west, the other east. This original station is long gone and it position was roughly a 100 yards (91 m) south of the present building. While in operation, this station played a key role in delivering pilots onto the ships bound for Liverpool. As such, moorings were laid for these boats on the Point Lynas headland, while others went ashore on Port Eilian beach. Records suggest that a Mr Robert Beavor (born 1749) from Aberffraw, south Anglesey, was the first lighthouse keeper. It seems he made his money trading commodities and seizing fighting ships in the West Indies. Echoes of "Pirates of the Carribean" here, I'd say! 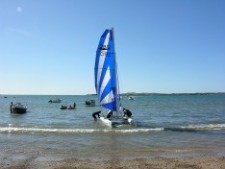 Following these "adventures" he retired to his native Anglesey due to ill health. In 1797 he was put in charge of Point Lynas. Robert Beavor died in 1814, and was buried in nearby Llaneilian churchyard. Over the year Liverpool grew as a port and commerical centre. With this, Point Lynas took on added significance. Why was this? 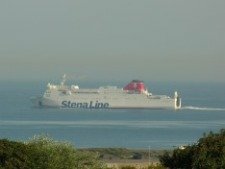 Well, all the trade ships returning to Liverpool from deep sea would sail up the Irish Sea and then head east around the isle of Anglesey. The anxious ship's captain would look out for the approaching pilot cutter to deliver his expert guide for the tricky passage down the Mersey River. Amazingly, on occasion the pilot boat would not turn up or perhaps demand a much higher fee. In 1769, however, the Westminster Parliament passed an Act introducing compulsory pilotage. Eventually, sail gave way to steam and then modern motor boats. And so, from the Industrial Revolution up to the present day, Point Lynas Lighthouse and the pilot station have been closely associated with sea commerce and the Port of Liverpool. Today we marvel at how huge technological advances such as the internet have given a big boost to e-commerce. We don't think twice about sending an e-mail to request information or to greet each other. Yet as early as the 18th century Point Lynas played a key role in maritime communication. Shipowners in Liverpool were itching to know the whereabouts of their ships, and so their profits. So what did they do? 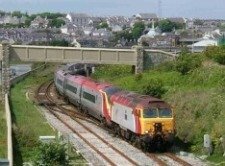 Semaphore stations were built on prominent sites between Holyhead on Anglesey and Liverpool. What were these and how did they work? The basic idea was to have two tall masts at each station. Each mast had four signal arms, two on either side, and controlled from the "control room" below. A code was introduced to signify the alphabet and number. Over time the operators at these stations became so skilled that a shipowner in Liverpool could receive news of his ship off Holyhead (over 90 miles(145 km)) in less than a minute. Records describe how during a trial in 1830 a message went out from Liverpool to Holyhead and a reply was received all in 23 seconds. Astonishing! Who needs e-mail? Of course, the system depended on good visibility, but even so, what speed of communication for 1830. The first station was placed on the north face of Holyhead mountain, which linked up with the second at "Cefn Du", near the village of Llanrhyddlad. And the next station was ten miles east, on the northern slope of Mynydd Eilian, just above Point Lynas. There were other stations at regular intervals along the North Wales coast right up to Liverpool. 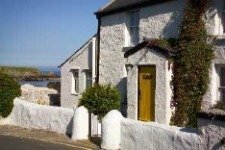 It is well worth your time to visit Point Lynas Lighthouse. There are magnificent sea views, a rich maritime history and with the use of semaphore, a place very much at the forefront of communication before the advent of radio.